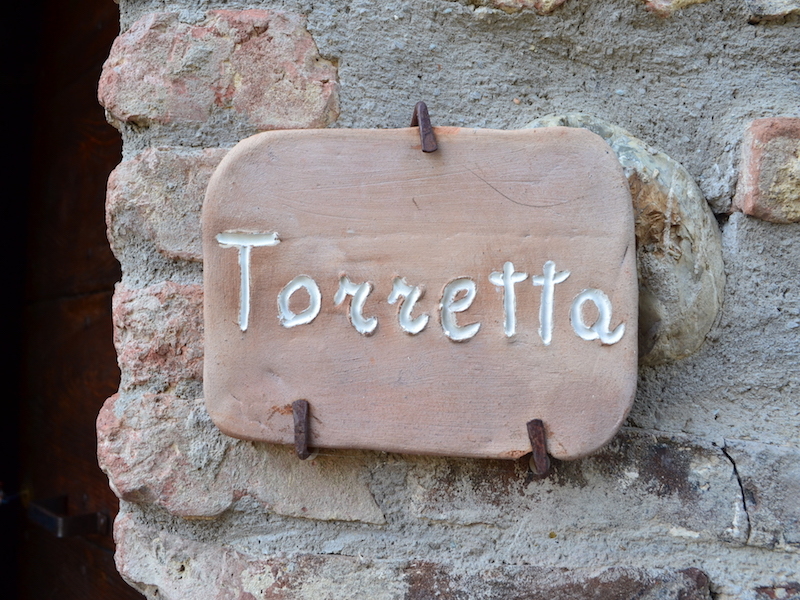 Torretta is a comfortable house of approx. 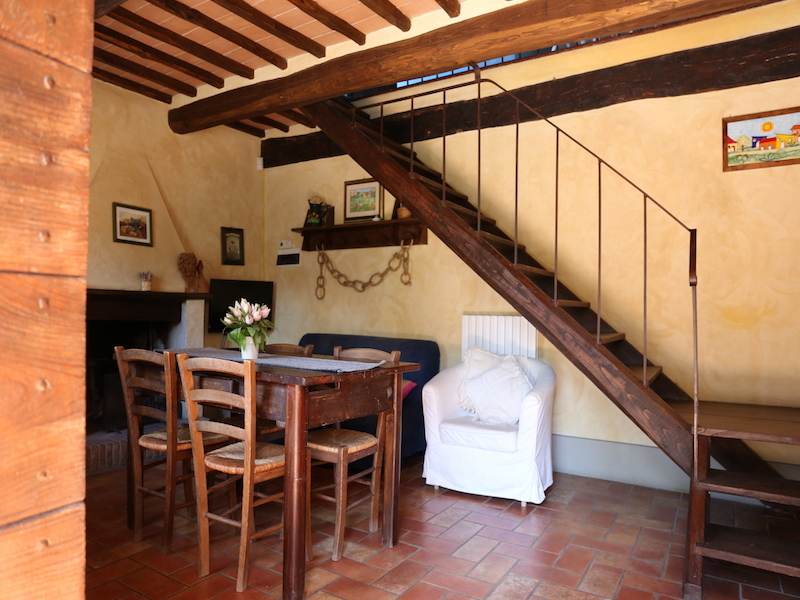 55 sqm, is divided into two levels, and it’s reminiscent of the old type of country house because it is part of the oldest building of the Borgo built in the XV Century. 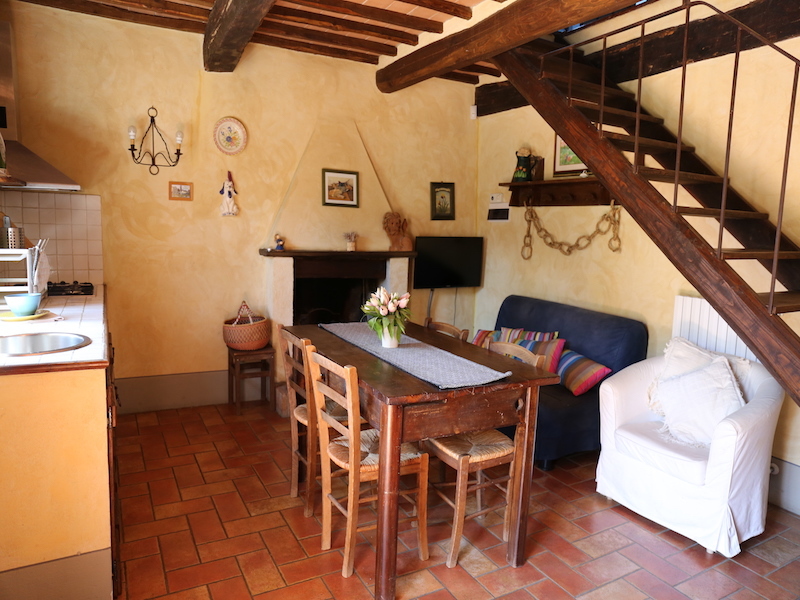 In the first floor you can find the living room with the fireplace and the kitchen; in the upper floor, the bathroom with shower, a bedroom with big bed and a study with 2 beds (sleeps 4). Other services are wifi, safe. 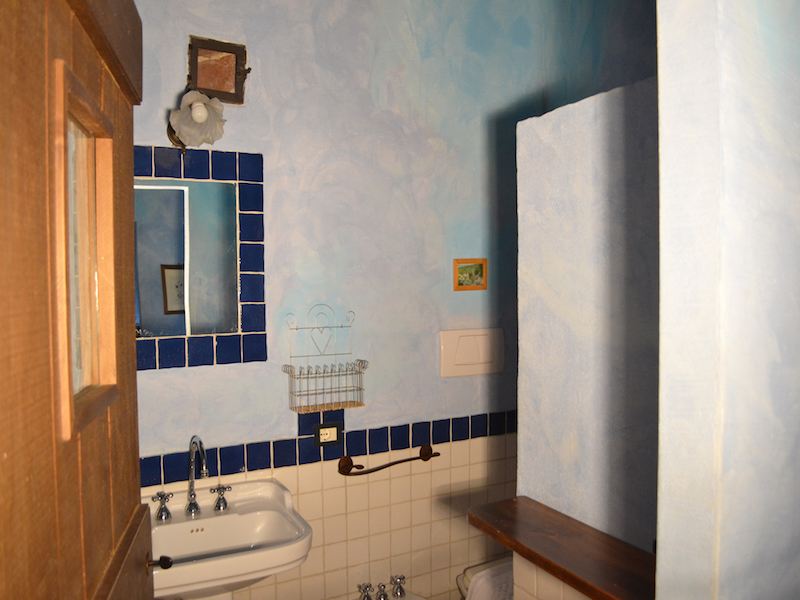 The paintwork of the walls are made with the technique of sponging and are in ocher and blue. 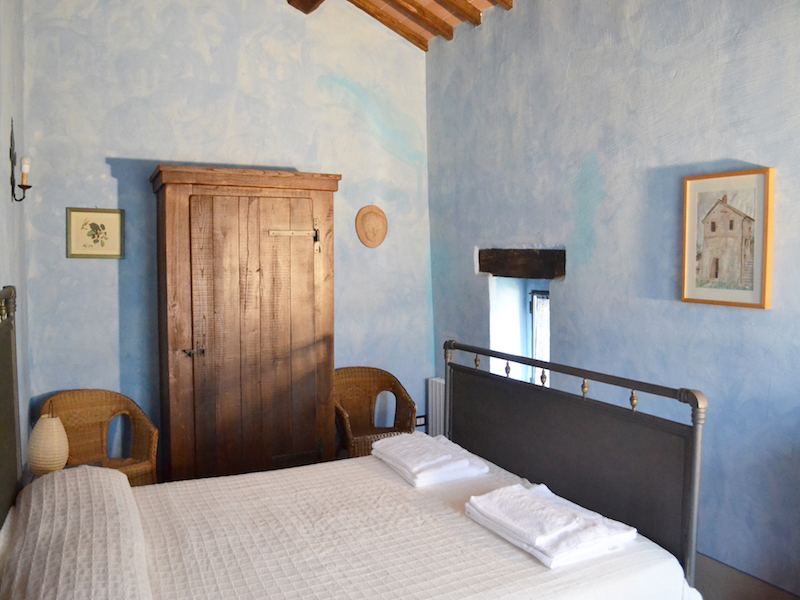 From the windows of the second floor rooms you have a great view of the surrounding countryside that combine Umbria and Tuscany. 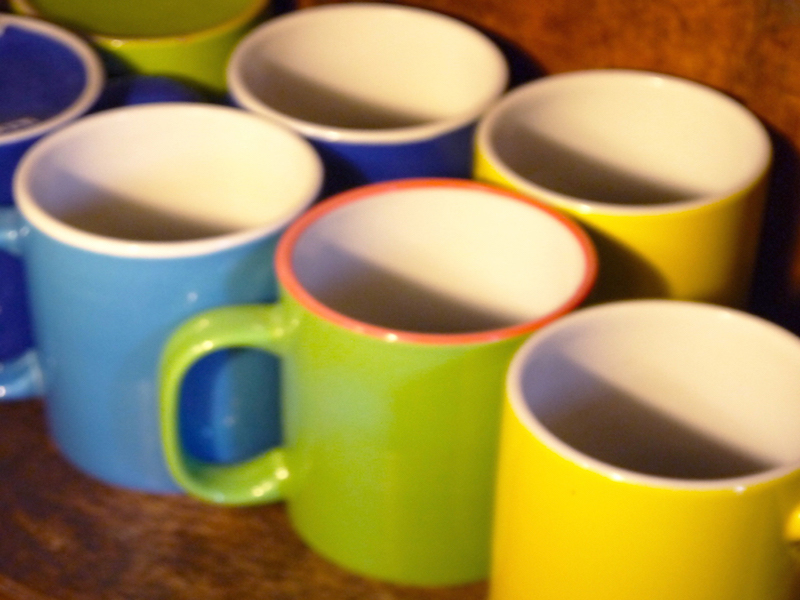 Valid for the period of January, February, March, April, November, December. * Excluding holidays. Valid for the period of May, June, September, October. Valid for the period of July, August, Easter, Christmas, New Year. 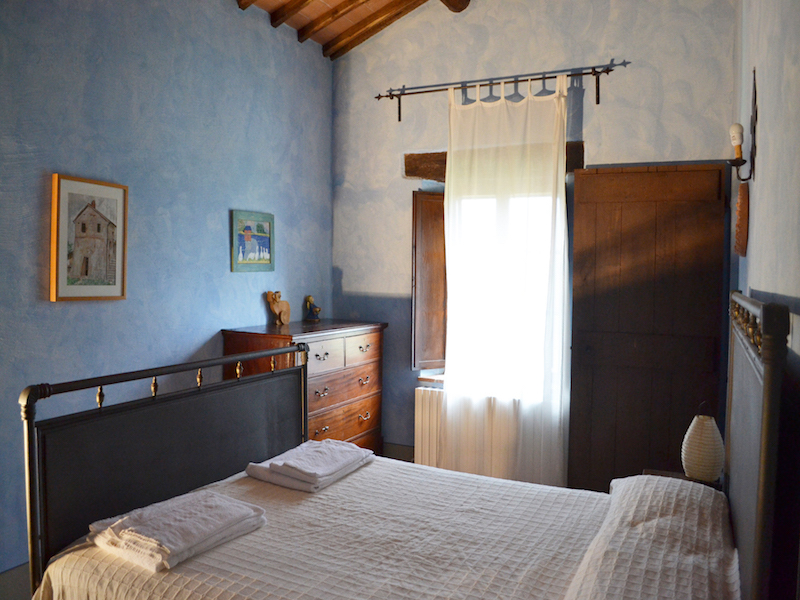 For stays less than a week, contact the property. Cost of final cleaning INCLUDED. Up to 60 days from the date of arrival: 50% of the total. From 59 days up to 30 days from the date of arrival: 70% of the total. From 29 days up to 7 days from the date of arrival: 80% of the total. From 6 days up to the date of arrival: 100% of the total. 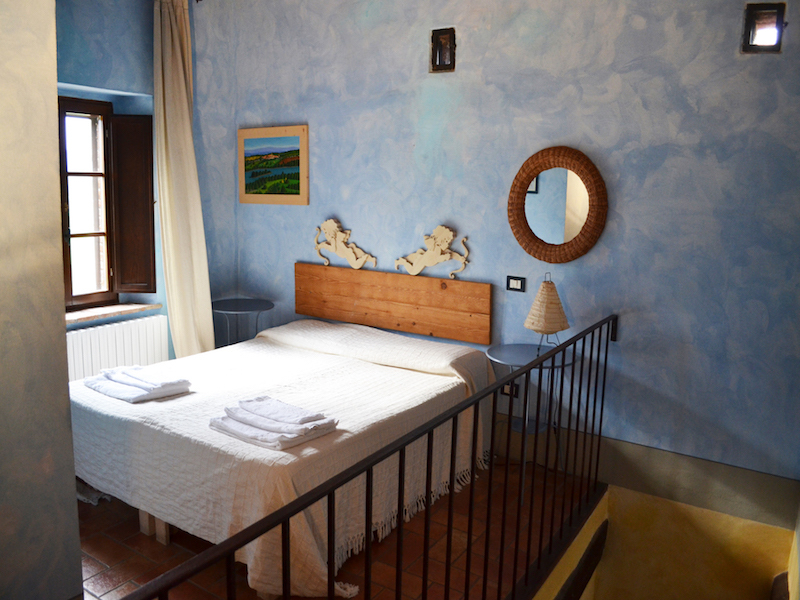 Borgo Santa Maria is a resort achieved through a skilled and accurate restoration of old houses built of stone and brick. 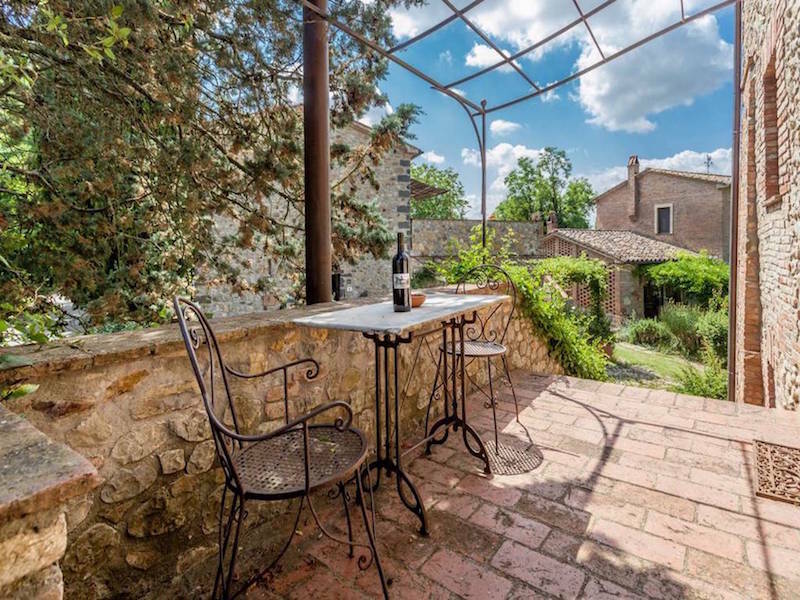 Immersed in the Umbrian countryside, a stone’s throw from Tuscany, is the ideal place to spend a holiday in the middle of nature and of art tourism.